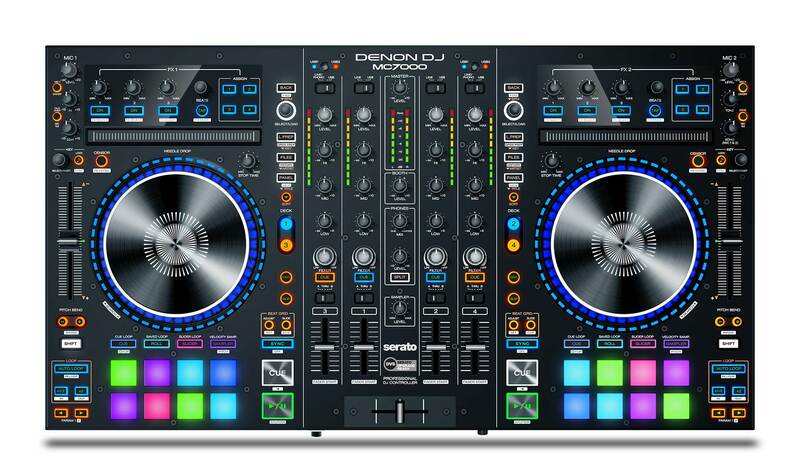 MC7000 is the professional DJ controller with 4-channel Serato DJ capability and dual USB connections. These two USB audio interfaces enable two DJs to play together (on their preferred DJ software) or ‘hand off’ in a truly seamless, uninterrupted manner. Coupled with Denon DJ’s legendary build quality and superior 24-bit audio reproduction, this is a no-compromise controller perfectly suited to both mobile and club DJs looking for the next evolution of Serato DJ controller. The MC7000 also includes the full version of Serato DJ Pro, plus, 3 creative expansion packs (Pitch ‘n Time, Flip and Video), enabling DJ’s to empower their musical, remix and visual style - to the max! Now you can express yourself musically like never before – Serato’s P’NT plug-in empowers the expressive use of ‘Pitch Play’ techniques, and it’s unique to Denon DJ hardware. Simply grab a cue point and ‘play’ it up ‘n down in musical key, so you can wow your audience with your creative tone play. You can also use the MC7000’s ‘single press’ encoder to instantly match the key signatures of your tracks to create beautifully harmonic mixing. Ever wished you could add a special drum intro to that killer track that doesn’t have one? Or perhaps you fancy moving that favorite section of a track around, or maybe even repeating it? With Serato Flip expansion pack, you can remix your tracks either live ‘on-the-fly’, or prepare them in advance with your unique special edits. Take charge of your remix with Serato Flip! Stimulate your audience and take control of creative and stunning video mixing. The Serato Video expansion pack enables glorious video transitions, in-depth FX blending, plus you can integrate your own promotional graphics too. You can also add custom visuals to existing video files in your library for the ultimate visual expression. Go beyond audio and make yourself a true VJ too!